Simple. You do what the National Oceanic and Atmospheric Administration (NOAA) did today and turn a fairly ordinary hurricane into a record-breaker. 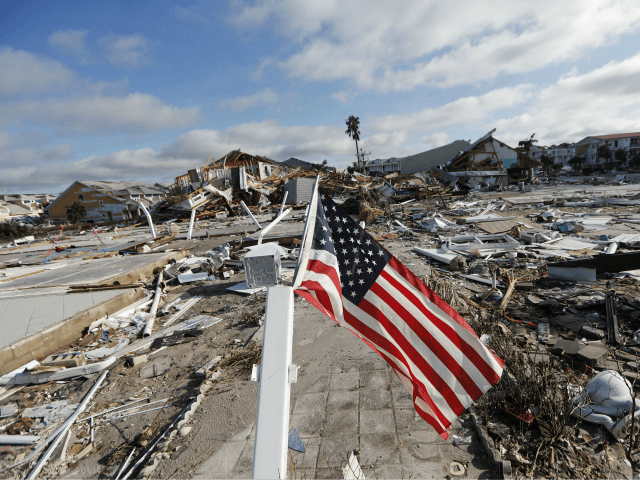 Yes, according to NOAA’s figures the hurricane was indeed – as Breitbart reported – the strongest to make landfall in the continental U.S. ranked by pressure. But Tony Heller smells a rat. I was watching the storm and the commentary this morning, and long before landfall Michael was officially declared to be a catastrophic category four hurricane (just below category five), the most powerful to ever make landfall “in that region” – and the third most intense in US history after the 1935 Labor Day hurricane and Camille in 1969. It was a genuine pre-hurricane category four propaganda storm. Weather Channel made these claims – 155 MPH sustained winds and central pressure of 919 mb. which weren’t even in the ball park of what the NOAA instrumentation at Panama City showed. And then they directly contradicted themselves in the same article, with the image below. There weren’t any category four wind speed gusts, much less sustained winds. 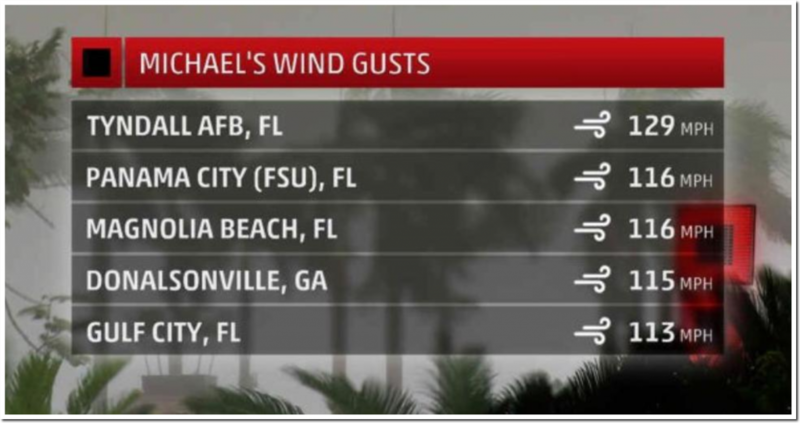 I don’t see any evidence from wind reports or damage reports that Michael was a category four storm at landfall. If this is what the alarmists are capable of when a minor hurricane hits, imagine the excitement they’re going to have when a real Cat 5 hurricane hits. Or will we be so tired of all the fake Cat 5 hurricanes they’ve invented by then that no one will actually believe them?